2019 - I am not ‘coming to get ya’. I am not wading into the new year with vigour and ambition. 2018 has taught me many things, so much so that I am in fact not going to adopt my usual gung ho springer spaniel style of being. I am different now. And all because of chronic pain… and a fairly big dollop of curiosity and creativity. In May this year I hit a brick wall. I have had a condition called Migraine Associated Vertigo for nearly 10 years and in May I woke up to find that I couldn’t walk or even stand. And blimey, the pain was indescribable. When the body is not well the shock to the mind can be incredible. The loss of control was frightening. I was afraid. The roads of fear were well trodden in my brain from 10 years ago when I first suffered almost 9 months of debilitating vertigo. My brain knew those pathways well. I felt well and truly stuck. Becoming curious about my pain was the hardest thing I have ever done, but so important if I was ever going to be well. I found that I couldn't even feel my body. It was as if my head had disassociated from every other part of me.. I wondered about this loss of connection between my brain and my body and this became central in leading me back to wellness. 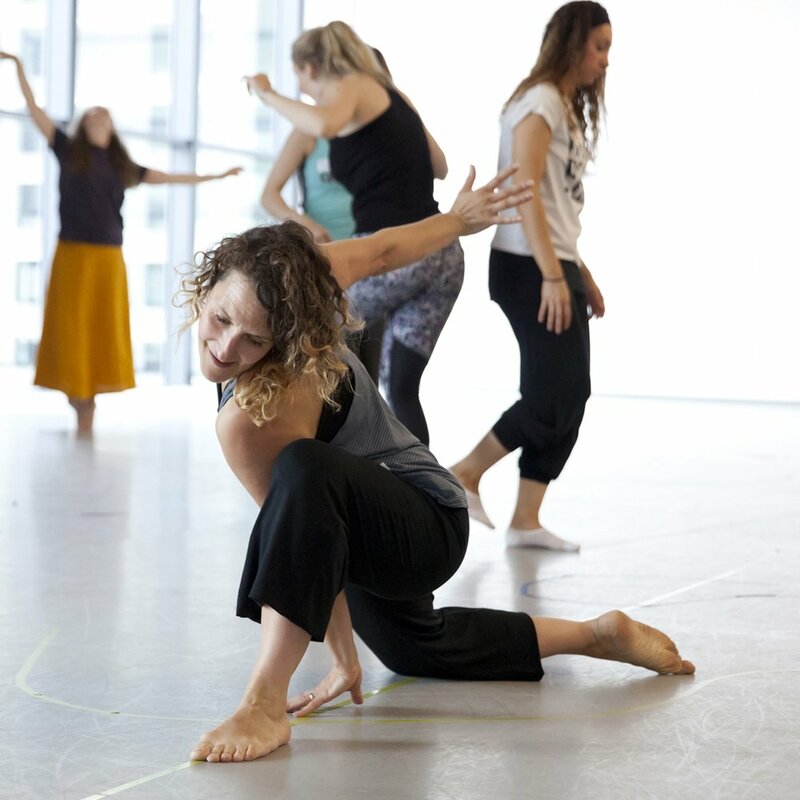 As a dancer and artist I encourage everyone who works with me to get connected to their body, after all “our bodies are not just a way of getting out heads to meetings” (quote Sir Ken Robinson) . Anyone who knows me will know how much I love to dance, and to be in the company of other dancing human beings, especially children under 4, with their amazing curiosity and creativity. But here I was. I had pushed away danger signals that had mounted over the previous 6 months of busyness. I had pushed on through and did made enough space to be well, and with each day I ploughed on I needed more and more migraine medication to see me through. Sometimes the brain creates pain when there is no tissue damage. I had no tissue damage. I hadn't injured myself. My X-rays from the doctors showed normal wear and tear around my neck and spine. Pain and migraine was my brains opinion of what was going on, not only with my body but also with my workload and work ethic. My nervous system had become edgy, sensitive to stimulus. My brain said my body was in danger and reacted by creating adrenaline and cortisol, the stress hormones. Over loaded with everything that was going on with life, my body had weighed up everything I placed in front of it and what it had experienced and felt that there was credible evidence of danger. What that did to a body already pre-disposed to a migraine condition was a clear message. “Take the space to be well” I loved my job and loved my work, but I realised that I had reduced everything else in my life (friends, going out,…) in order to manage both the migraine pain and the vertigo. The month before I got ill a sports therapist had given me a book, saying she felt I needed more stillness in my life (!) Now, utterly desperate to find a way to get better I started to do the mindfulness exercises on the CD. Then an ad popped up on Facebook for Curable. An app that not only gave you guided meditation but also other tools and exercises to identify and target the unique combination of factors that were keeping me stuck in a cycle of pain. What was fascinating was that for the first 10 times of doing guided meditations I couldn't remember what Clara had said or what my body had done. I had done all of the exercise but couldn't remember a thing. I stumbled on through each exercise as best I could. Then, after about 2 months, the meditation started to make a difference. In calming the nervous system, and through taking time out to connect mind and body, I began to get better. The body and the mind are not a fixed state… they are connected and impact each other. The breath moves through the body, the thoughts move through the mind. Neither are truly stuck, even though we may feel like they are. The truth is everything changes. And I also had to change. So you see 2018, I have learned form you, and I continue to learn, as managing ongoing migraines is a task that requires curiosity. So, 2019, may you bring stillness and calm and a sense of purpose that comes from knowing that kindness and compassion needs to start with me.